So it was recently my college roommates birthday (Happy Birthday Girl!!). 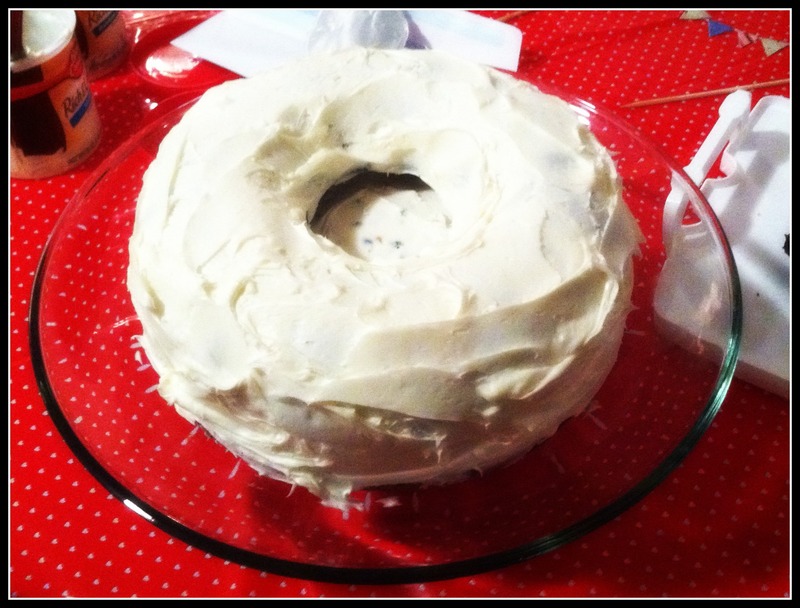 My friend C and I decided to make dinner for her, so I offered to make a cake…because as you know, I love birthdays. (Evidence here, here, and here). I decided to make something from scratch so I searched the interwebs for a recipe I thought was worthy. It didn’t take long to find a good one. 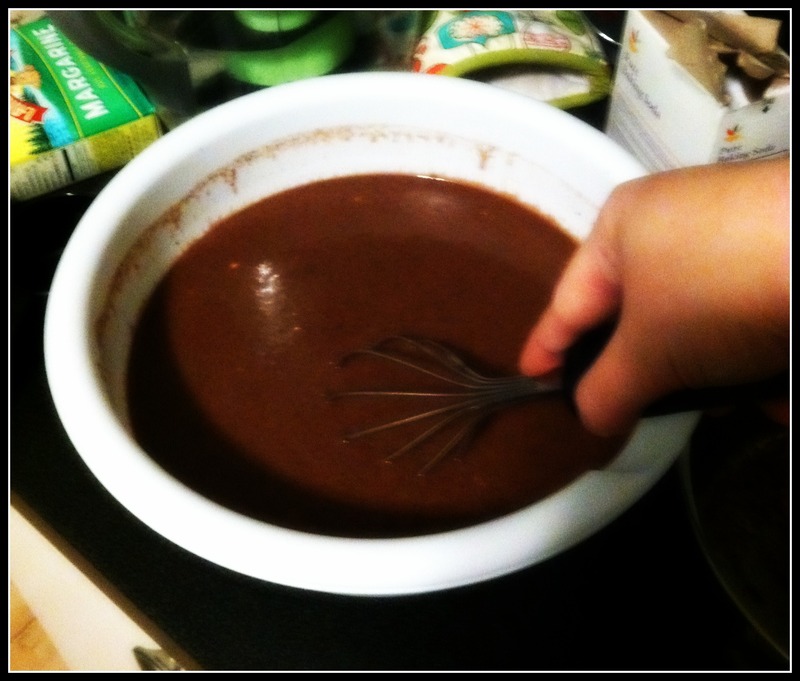 So the batter is a little more liquid than boxed cake, but I think its because its a fudge cake. I only have one cake pan….and I thought the batter would all fit. Turns out there’s more than I thought….so rather than double the bake time by using the same pan (no thanks) I had an epiphany. I noticed that a bunt pan is the same circumference! 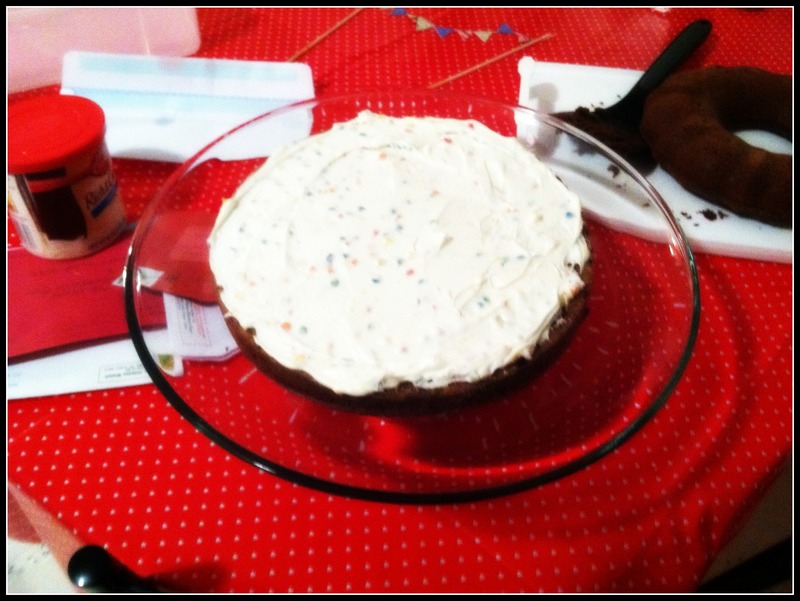 I decided to use my one cake pan and the bunt pan…which would make for a fun layer cake. 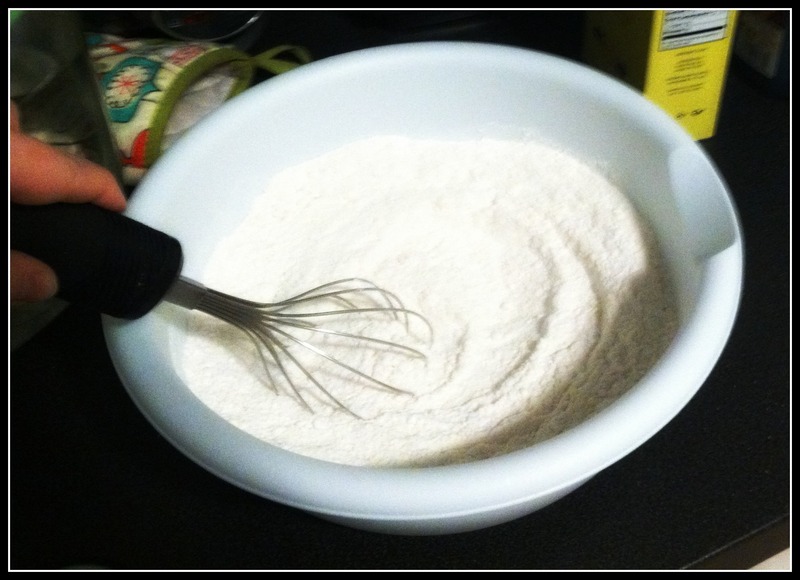 Mix flour and sugar in a bowl. 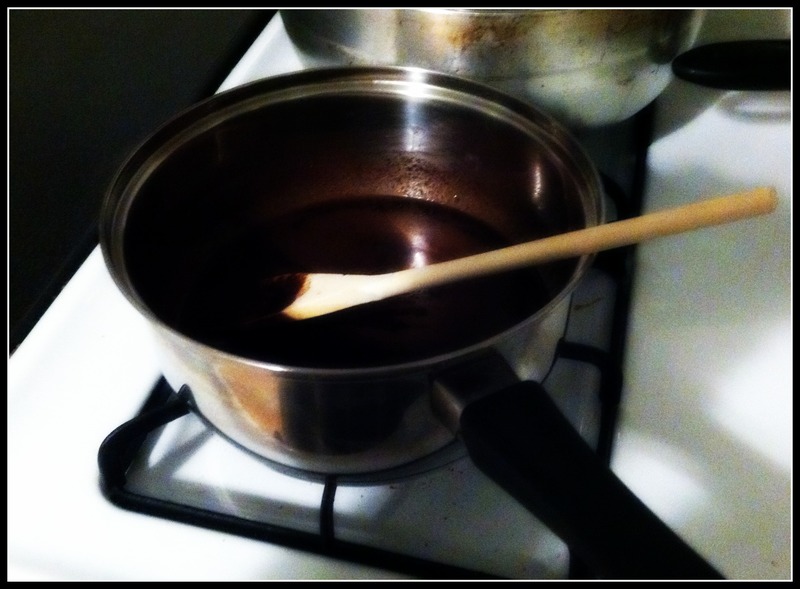 In a sauce pan mix cocoa, butter, and water and bring to a boil over medium heat. Mix into the dry ingredients. Mix well, once cooled slightly add eggs, buttermilk, baking soda, and vanilla. Pour into greased pan and bake at 350 for about 20 mins. 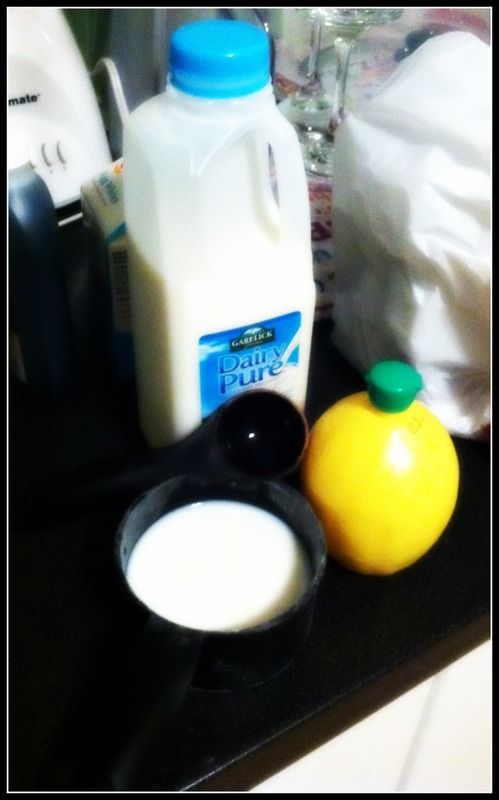 ***I made buttermilk by taking just under 1/2 cup milk and adding 1/2 Tbs of lemon juice. Let sit for a couple minutes…and BOOM buttermilk. See….it’s a cool effect. If there had been a little more time I would have filled the whole with something…a cupcake, fruit…something. But for this time I left it open. 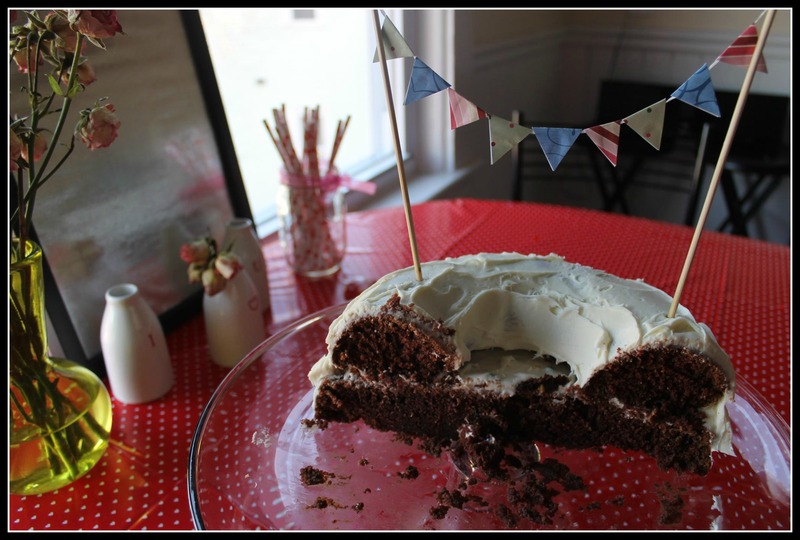 I did make a fun decorative banner to top the cake though. Here’s how you do it. 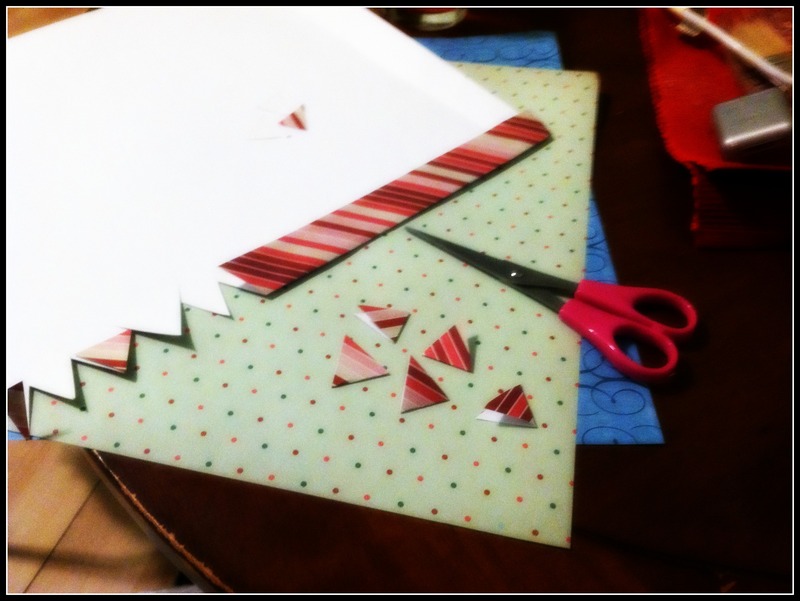 I started by folding the edge of the paper over, and cut small triangles. Then I cut a length of dental floss and tried it to the skewers. To attach the triangles, I put a dab of glue and placed them over the floss (the glue makes it so they stay). Let it dry and BOOM classy cake decor.